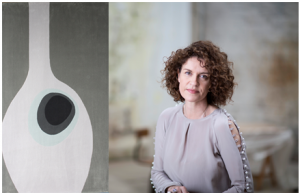 Ceadogán Rugs and Irish fashion designer Helen Cody have teamed up to create a stunning, limited edition collection of rugs. Helens inspiration for her rug designs came from her love for all things mid-century, in particular, the simplicity of 1960’s Scandinavian ceramics and furniture design. In this collection for Ceadogán, Helen created rugs in a subtle warm palette that reflect and enhance most contemporary interior spaces. This exclusive collection is available to view in our rug shop.